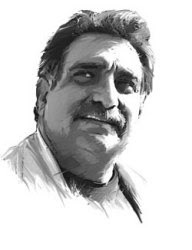 The great Palestinian philosopher and former MK Azmi Bishara on the Syrian revolution. 1) Let’s suppose that impoverishment of the people and the suppression of their freedoms are marginal when placed in the context of a grander goal, such as defending the homeland. That would only make sense, however, during limited periods of time, such as during wars. Anyway, such claims do not justify the way in which the people have to share out the misery between them, while the rulers enjoy the riches. Nor does such sloganeering justify the institutionalized, systematic denial of the rights of their people. There is no justification for the tyranny and corruption of the rulers, and their appropriation of the fruits of the masses’ labour. Trying to exploit a cause held dearly by both the people and the regime to achieve this is the beginning of demagoguery, and it is a tool used solely to preserve the existence of the corrupt, tyrannical regime. None of this, of course, takes away from the righteousness of the cause being exploited, but it does serve to bestow legitimacy on an illegitimate regime. Rebellion against this tyranny will necessarily place the removal of that regime as its first target, but the sanctity of the just causes which the regime exploits must also be preserved. This applies when the question comes to US plans to dominate our region, seeking to design the policies of Arab states with Israeli interests at heart, as well as the question of Palestine and the duty to resist the occupation at every turn. 2) No people, anywhere in the world, would accept torture, false imprisonment, financial corruption and the muzzling of the media for generation after generation, regardless of the justification. Nor does anybody to have the right that those being persecuted remain quiet for the sake of grander concerns, without hopes for a change, all to placate commentators who seem to think that the suffering of the people is secondary to the “Central Question”, especially as all the evidence that no progress on that same “Central Question” in the first place. 3) Nobody has the right to just claim to have “understood” the people’s pain and the righteousness of their claims, and then ask those people to simply stay on the sidelines while the leaders undertake some reforms. No human likes being shot at and bombed, but you cannot expect that people who get shot at while protesting peacefully to take it sitting down. If you cannot compel the regime to deal peacefully with peaceful protests, then [any demands that the rebellion end] are demands that the people accept that they should be killed, that their losses for the revolution thus far have been in vain. 4) History will not be kind to the Syrian regime for the way it ordered soldiers to fire on peaceful protestors. Those peaceful protests had been the regime’s greatest fear, and so they worked to quell them in the cradle. 5) It seems inevitable that, if you are being bombed, driven from your home and your possessions looted, that you will reach out to anybody who stretches his hand out to you. Those who abandoned the revolutionaries at their time of need have no right to lecture them on who their sources of support are, especially if nobody is able to persuade the regime to carry out any kind of meaningful process of reform towards democracy, or even to hand over power gradually. 6) There is no fault in the people seeking their own dignity and freedom; there is no sin for those youth who have taken up arms in the face of the regime’s barbarity. The only culprit here is the regime. Writing off the earliest protests as a foreign conspiracy, and dismissing Arab diplomatic moves for a gradual transfer of power—such as the now seemingly fanciful August, 2011 plan for a National Unity Government which would usher in Presidential elections in 2014, and a January, 2012 plan for power to be handed over to the Vice-President –this regime refused them all. None of these proposals ever sought to undo Syria’s army, or to undermine the army’s morale. 7) The duty of the revolution’s leadership and the political opposition at this point is to remain vigilant with regards to those powers which are supporting their efforts, and the political ends for which they do this. It falls on this revolutionary leadership to preserve the sovereignty and identity of Syria, preventing foreign support for their revolution from turning into a bridgehead for those foreign powers’ ulterior plans. 8) In spite of all of the above, I can understand the confusion and anguish felt by a wide number of Arab patriots about the events presently unfolding in Syria. It is not only the anguish shared by those who are shocked by the fate of large swathes of this part of the Arab homeland, at the way the regime has chosen to go with the Samson option, but rather a more nuanced, political anguish. Looking at those states which presently support the Syrian revolution, or at least claim to, one can see countries which have never been democratic, and have in fact stood in the way of all of the other Arab revolutions. Doubtlessly, these states are doing so for an entirely different set of reasons: Syria’s foreign policy and the country’s long-standing support for the resistance movements in Palestine and Lebanon. The use of sectarianism to fan the flames of the revolution are also here, deeply troubling: in our part of the world, sectarianism is not only disgusting, it is deadly. Yet no matter how anguished and confused an outside observer feels on these issues, anguish and confusion cannot be the policy of the Syrian people, and the Syrian revolution. The Syrian people are not an outside observer, they must choose between either moving forward, or falling back and having to deal with an emboldened, despicable new set of thugs. The Syrian people cannot afford to fret over the identity of those supporting their revolution, their only worries are about the limited number of those supporters, and the limited, cautious nature of that support. 9) A truly patriotic intellectual committed to democratic values must never shirk from explaining the dangers of a potential sectarianism, making clear what the real components of a democratic state based on citizenship and social justice are, on the need to avoid replacing one form of tyranny with another. Nor must we forget the historic role played by Syria in the Palestinian cause and in the wider Arab sphere. Yet this enthusiasm must be based, first and foremost, on concern and support for the Syrian people, and a defense of their revolution against tyranny. Singing the praises of Assad’s regime is an unforgivable sin, and will only serve to discredit the causes for which, ostensibly, this support for the Syrian regime is built. 10) As far as the Syrian people are concerned, no cause can be more sacred than the defense of the life of their children; no cause, for them, can be more urgent than the need to topple the Assad regime and replace it with the democratic government which they deserve.